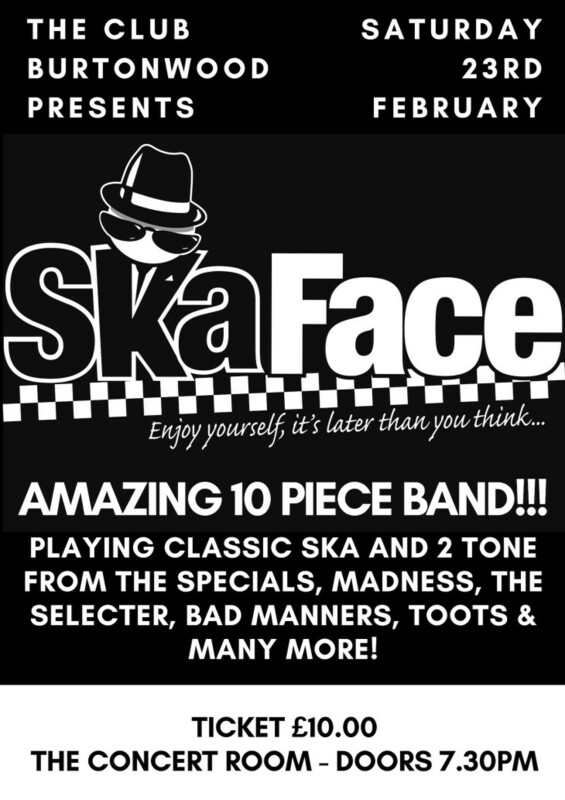 The Club Presents: Ska Face - Saturday 23rd February 2019!!! We're delighted to announce one of the UK's best Ska & 2 Tone Cover Bands will be performing at The Club in February 2019! Ska Face keep it real and enjoy every minute with an infectious stage show of power, energy and damn good tunes that you just have to dance to. There is no better remedy to a stressful week than a few cheeky drinks and dancing like a loon... and that is just the band!